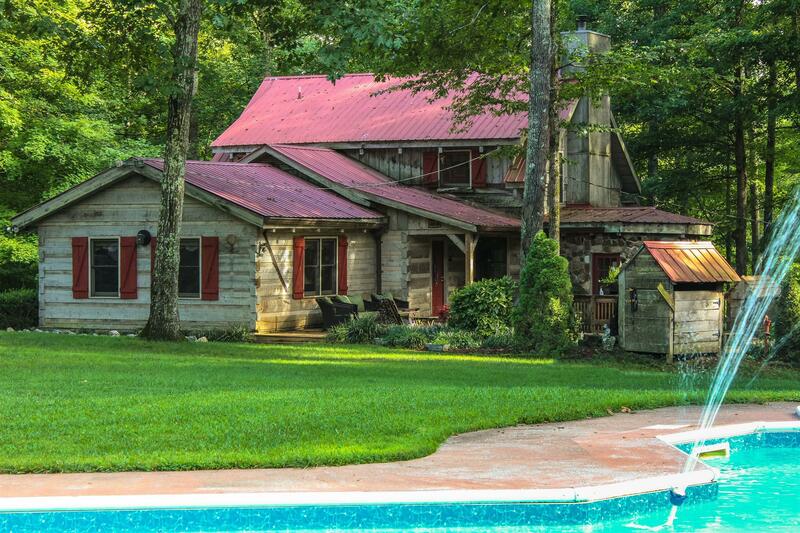 Absolutely Breathtaking Private Log Home Retreat..Convenient to I-40 Exit #172! 2366 sqft (3 or 4 Bdrm/2 Bath) LOG HOME on 5.17 Acres. Features...Vaulted Ceiling,Clawfoot Tub,FP,Separate Office,New 30x30 Insulated Shop,44x32 Inground Pool w/Diving Board,Barn/Pool House,Pond Feature w/Water Mill off Back Deck..MUCH MORE! RELOCATING...PRICED TO SELL!